Jane helps health care providers navigate the complex network of health care laws and regulations so they can focus on what they do best: providing care and services to the individuals they serve. Jane represents hospitals, nursing homes, assisted living facilities, home care agencies, social services agencies, and other practitioners and providers in regulatory, reimbursement and compliance issues. She guides providers through matters involving overlapping agencies, including the Centers for Medicare and Medicaid Services (CMS), New York State Department of Health (DOH) and New York State Office of the Medicaid Inspector General (OMIG). She represents providers in Medicaid audits, investigations and appeals and counsels them in the implementation of effective compliance programs. A seasoned litigator, she represents providers in federal and state litigation, including Article 78 challenges to governmental authority and administrative hearings before the Health and Human Services Departmental Appeals Board (DAB) and Provider Reimbursement Review Board (PRRB). Jane also advises health care providers on legal aspects of innovative business arrangements, including the implementation of telehealth programs. Jane is a frequent presenter at conferences and seminars throughout the United States. She began her career as a litigation attorney at Skadden Arps in New York. 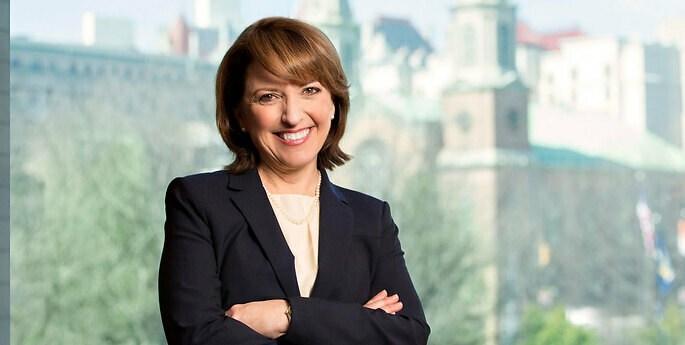 Jane is the chair of the Long-Term Care Committee of the New York State Bar Association’s Health Law Section, and she is recognized as a leading health care attorney in Chambers USA: America's Leading Lawyers for Business and Best Lawyers in America. Jane has assisted SNFs in their successful challenges to immediate jeopardy deficiencies relating to compliance with abuse reporting and prevention, accident prevention, infection control, and many other regulatory requirements. In these cases, Jane assists the client in evaluating survey findings, pursuing informal dispute resolution, and filing administrative appeals before the DAB (Departmental Appeals Board). Through these appeals, Jane has succeeded in convincing CMS to reduce the scope and severity of challenged deficiencies below the immediate jeopardy level in numerous cases, which has enabled the SNFs to restore their good names in the communities they serve. Jane has worked with hospitals, nursing homes, assisted living programs, licensed home care services agencies and other Medicaid providers to challenge OMIG audits. In many cases, these challenges have led to substantial reductions in the amount of the claimed disallowances and, in some cases, the withdrawal of the audits in their entirety. NY Chapter of the American College of Health Care Administrators 49th Annual Convention: What's in Your EMR? Zimmet Health Care Services Group, LLC: The Transformation of the U.S. Health Care System- What Role will Long-Term Care Play? New York State Health Facilities Association Audio Conference: I Have a Compliance Program...Now What Do I Do Next? New York State Health Facilities Association: Legal and Regulatory Update- What are the Payment Police Up to Now? New York State Coalition on Quality Assisted Living: Assisted Living in New York- Where Have We Been and Where Are We Going? New York State Health Facilities Assocation: Corporate Compliance- What is It and Why Do We Need It? March 1 Department of Financial Services Deadline for Vendor Management Has Lapsed. Has Your Organization Complied? Assisted Living in New York: Old and Broke, Where Will We Go From Here?